At Brandon Cross, providing on-budget knowledge based software which has been tailored to the needs of a particular client is something we have built up years of experience with. Our team of software engineers have the ability to scope out your enterprise’s needs, to produce a fully customised knowledge base solution for you and to deploy it in conjunction with your current offering to benefit all of your clients and partners. After all, sharing knowledge and expertise is what is expected in so many industrial sectors these days whilst restricting access to information from third-parties and maintaining the integrity and security of the data being shared. We offer a high level of technical expertise when it comes to a knowledge base solutions. Brandon Cross is, for example, highly respected in the industry for the quality of our customised intelligent text search functions which can handle misspellings or industry-related terminology. We are equally known for our guided search functions which suggest areas that people might like to navigate towards based on previous searches and certain keywords. We are also able to produce customised knowledge base applications which filter search results to remove or demote irrelevant content or that which is marked as inappropriate for the searcher in question. With an interactive approach to developing a tailored knowledge base solution for our clients, each project we embark on gives ample opportunity to fine-tune the software. This might include, for instance, enabling the use of collaborative content creation for digital publication or providing knowledge analytics for our customer. Knowledge bases can also be deployed with several different brands being allowed for within one software package, ideal for clients who operate under more than one trading name. 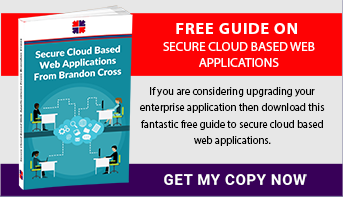 To read more about online customised knowledge bases, why not download our free guide – Secure Cloud Based Web Applications? You will find it useful in establishing your own goals for providing information within your organisation as well as externally. Equally, we’d like to hear from you directly so please feel free to either call or email us.